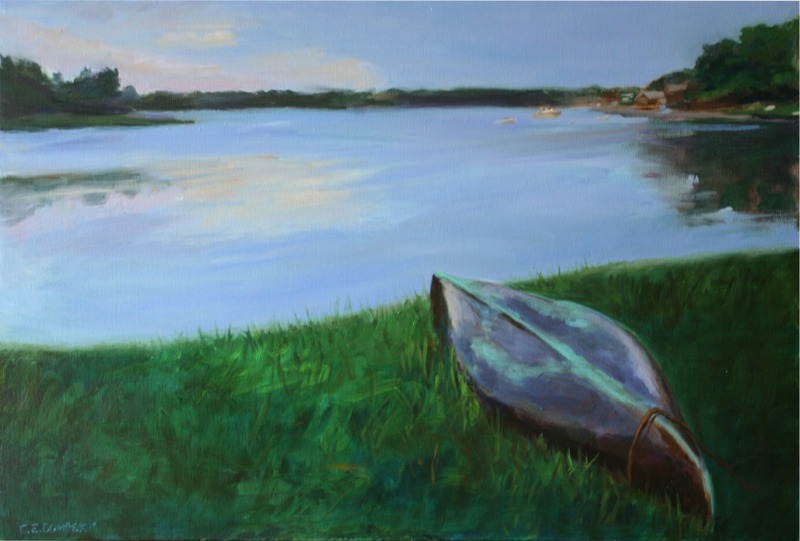 This painting was inspired by "Christina's World" by Andrew Wyeth and features a weathered boat at dusk at the edge of Ryder's Cove, Chatham, Cape Cod, where I spent several summers and first painted Plein Air. This painting is oil on gallery wrap (1 1/2" deep ) canvas- sides are painted with a continuation of the scene so painting is ready for hanging as-is or could be framed. "Mystic of the Moors" is a companion piece to this one.